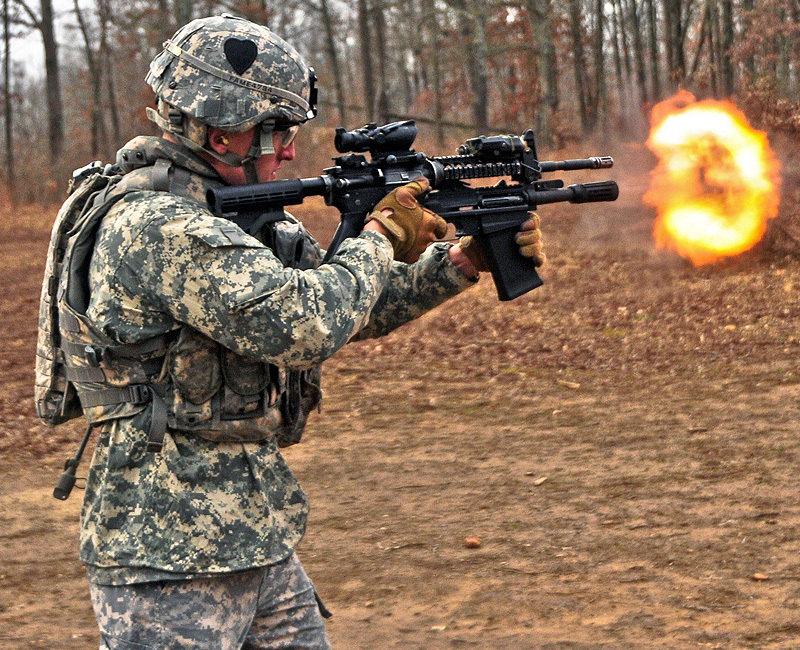 Fort Campbell, KY – It weighs 3.5 pounds, has a barrel length of 7.75 inches, fires 12-gauge shells and can be mounted on the M4 carbine or act as a stand alone firearm; it is the M26 Modular Accessory Shotgun System and the 2nd Brigade Combat Team, 101st Airborne Division (Air Assault) is the first unit in the Army to be issued the combat enhancer. Picatinny Arsenal-based PMSW is a group that supports Soldiers through the development, production, fielding and sustainment of current and future weapons systems. 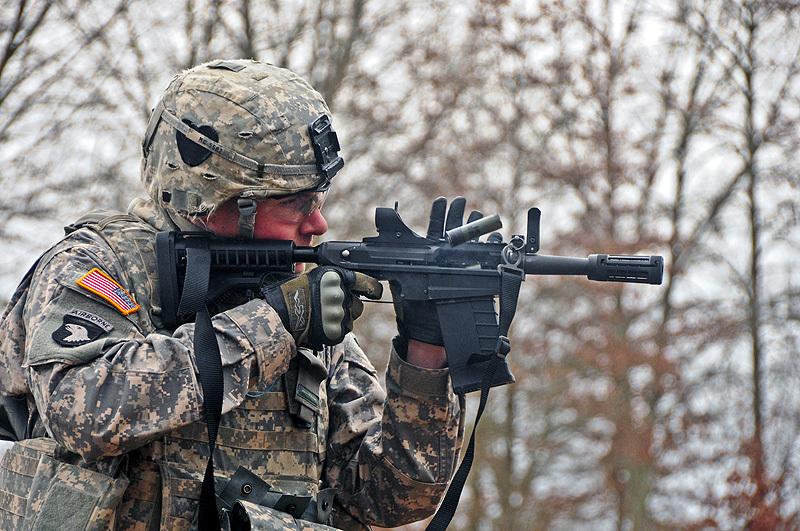 PMSW fielded the M26 MASS to the 2nd BCT, also known as the Strike Brigade due to the unit’s profile and future deployment schedule. 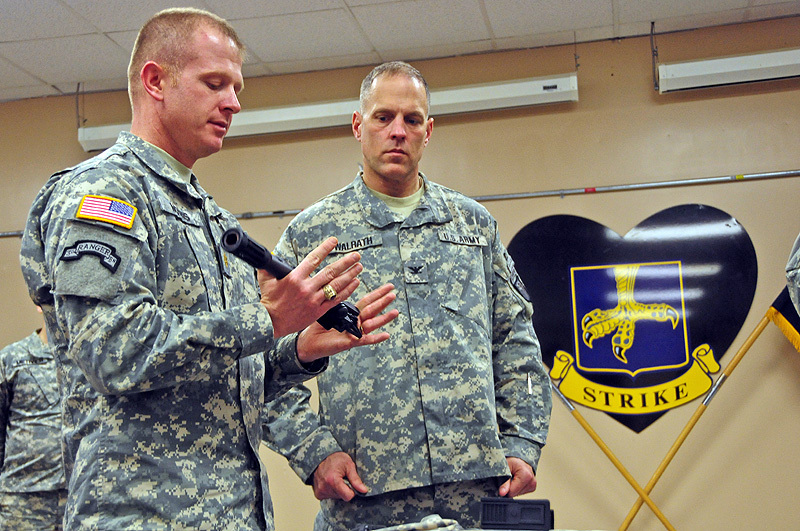 “We’re glad to be the first unit to put this weapon to work and there is an appreciation for all that goes into this,” said Col. Dan Walrath, the Strike commander, while holding the new Strike Shotgun. 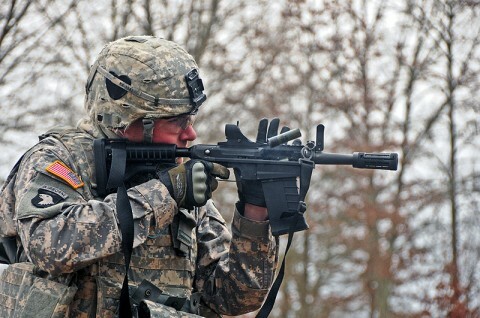 After the ‘hand-over’ ceremony, the weapons were issued to Strike’s engineer company, Company A, 2nd Brigade Special Troops Battalion and Strike’s military police with Headquarters and Headquarters Company, 2nd BSTB. For three days, under the guidance of PMSW, the Strike Soldiers learned how to assemble, maintain, repair and effectively fire their new weapons. The Strike Soldiers who received and shot the weapons are welcoming to the new firearm into their arsenal, and see how its capabilities will help their missions. The Strike MP’s first sergeant, 1st Sgt. David Ward, is honored to have his teams utilize the new weapon system and attributes it partly to their accomplishments achieved in Operation Enduring Freedom 10-11. PMSW has invested much time, money and manpower getting the future weapon into the hands of today’s Soldiers and can rest easy knowing those hands belong to Strike.